In case you thought that it only takes a black mock turtleneck and an over-produced demo video to succeed, it apparently also takes not-so-subtle attacks on developers of pre-existing apps. Small and dirty iOS demo showing NSLinguisticTagger live-detecting sentence structure in an UITextView. But maybe it's best to just let the market decide. I don't like asshats. I like people that figure out how to make a living from being awesome and making things people want to buy. I also consider Brett Terpstra to be awesome and it pisses me off to see people mimick his work and then use it to threaten him. 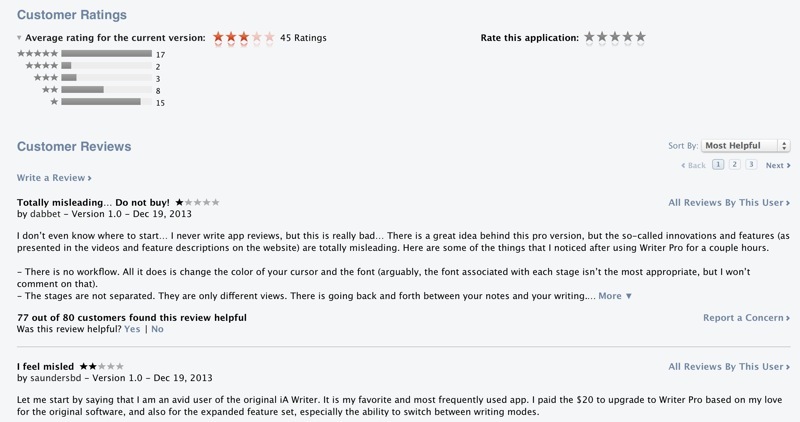 Any way, consider this my review of Writer Pro. Sorry, no affiliate links.